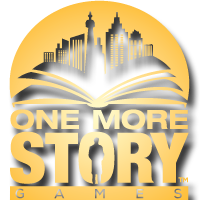 Join WritePack Radio and Jean Leggett for a conversation about games you read, books you play – interactive storytelling games published by One More Story Games with their authoring software StoryStylus. In this episode, the Write Pack, talk to Jean Leggett about how things are going with a different way of publishing—One More Story Games. How can someone write these types of story games? What should a reader-player expect in a story game?